ABOVE: Gary photographing a Rinky Dink. He is wearing slops because he nicolaued a massive iceberg onto his foot earlier. 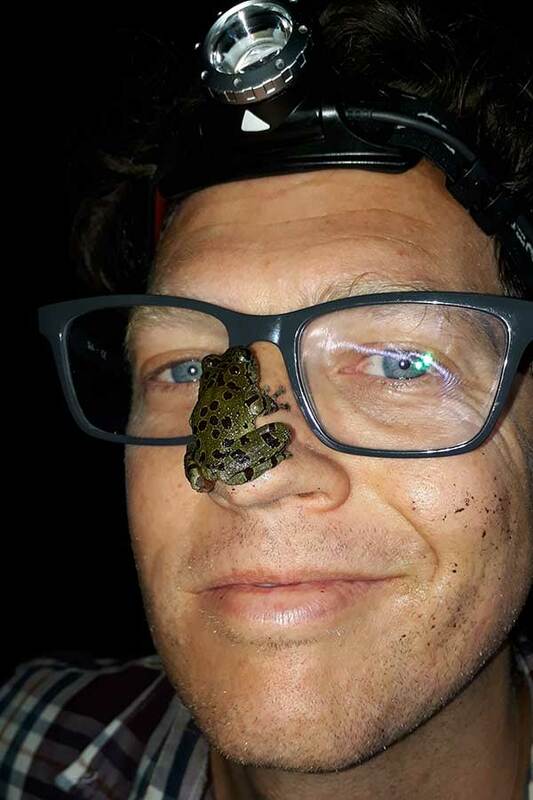 Herpers are a strange bunch indeed! ABOVE: Nick Evans responding to a callout for a Mfezi (aka Spitter, aka Devil Snake). He removed this foul-tempered creature from that rusty old car behind him. Afroedura (n.) – The genus of flat geckos, some of the most range-restricted and poorly known reptiles in the region. Sample sentence: “Dude, I think I might die if I ever see Afroedura hawaquensis“. Bergie (n.) – An affectionate name for a Berg Adder, Bitis atropos. Sample sentence: “Dude, I walked my feet to stubs but still no Bergies”. Brady (n.) – Short for Bradypodion, the genus of dwarf chameleons. There are 17 described species of dwarfs in South Africa, with an additional 8 or so awaiting formal description. 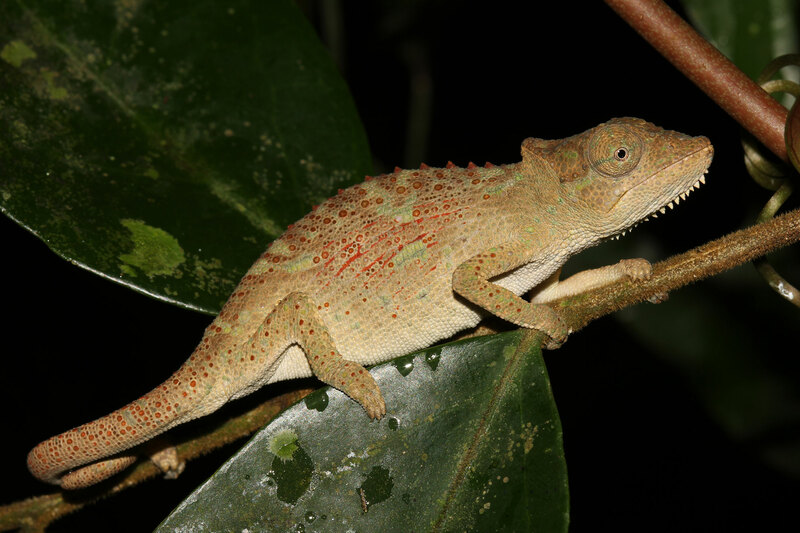 Dwarf chameleons differ from typical chameleons (Chamaeleo) in e.g. live birth instead of laying eggs. 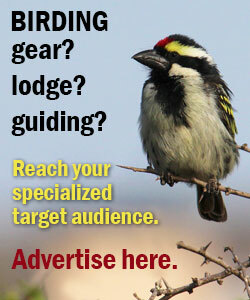 Many have tiny distribution ranges and are seldom seen. Sample sentence: “Dude, how many other undescribed species of Bradys do you think are out there?”. 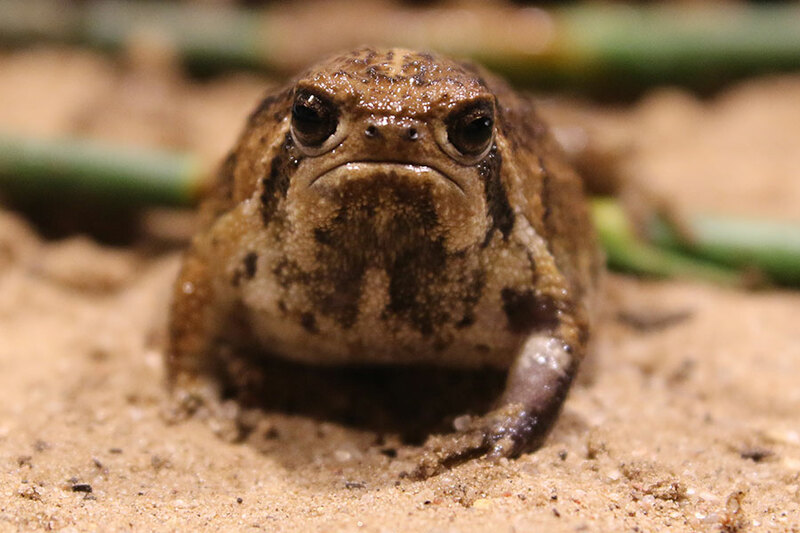 Brevi (n.) – Short for Breviceps, the genus of the super-cute but super elusive rain frogs. 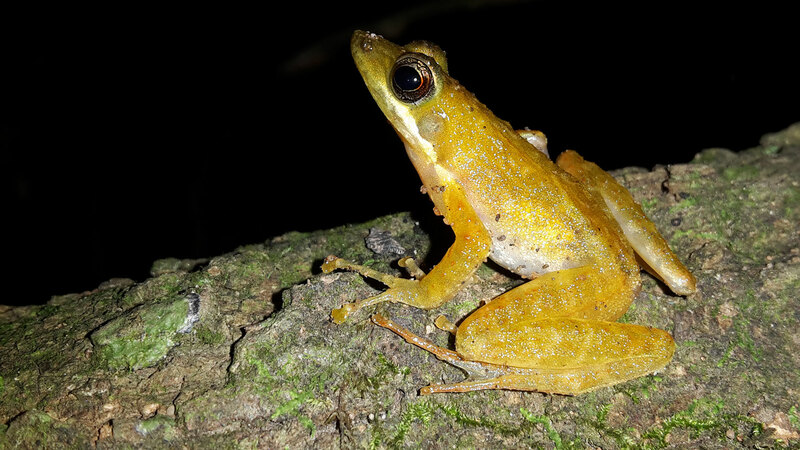 These frogs spend the majority of their lives underground, but sometimes emerge in huge numbers after rainfall, with their calls echoing from all around. Sample sentence: “Dude, I tried for like six hours, but I just couldn’t pin down that Brevi”. Caco (n.) – A tiny frog in the genus Cacosternum. Also called “dainty frogs”. Sample sentence: “Dude, did you hear Werner discovered a new species of Caco again?”. Callout (n). – Being summoned to remove a snake from someone’s premises, where the animal potentially poses a danger, and is itself in danger. Sample sentence: “Dude, I had three callouts for Mfezis last night”. Cham (n.) – Short for “chameleon”. Sample sentence: “Dude, you need a good headlamp to search for chams at night”. Clicker (n.) – An affectionate name for the widespread and common Clicking Stream Frog, derived from its clicking call. Sample sentence: “Dude, those clickers kept me up all night”. Croc (n). – A crocodile, duh. Sample sentence: “Dude, while you’re in that water, don’t get so into your frogging that you forget to keep an eye open for crocs”. See also “flat dog”. Cruising (v.) – Also “road cruising”. Driving slowly, typically at night, to look for reptiles and amphibians crossing the road. Can range from spectacularly productive, to absolutely dismal (usually more towards the latter end of the spectrum). Hugely influenced by rainfall and temperature. Sample sentence: “Dude, it’s raining and the temps are lekker; do you want to go cruising for a few hours?”. Death Slug (n.) – An alternative name for a Puff Adder, Bitis arietans. Sample sentence: “Dude, it’s a good thing death slugs are so slow, otherwise that one would have tagged you”. 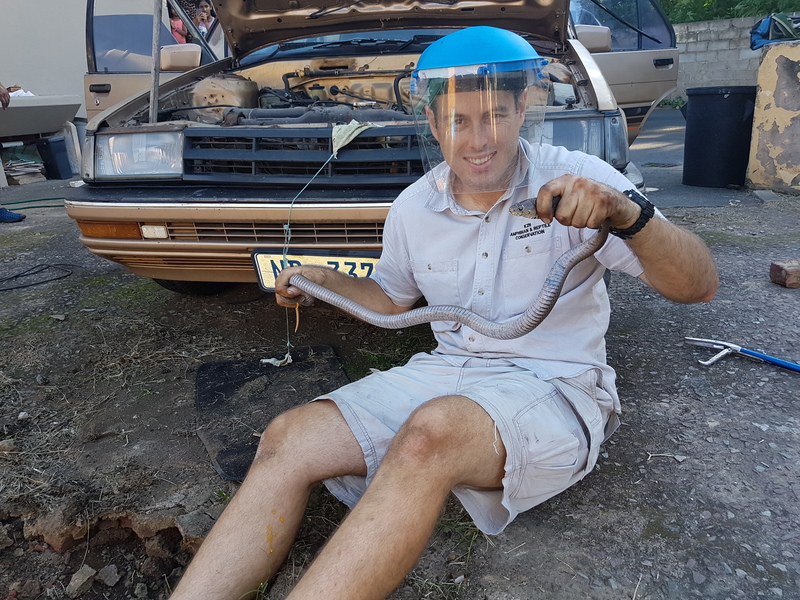 Devil Snake (n.) – a not-so-affectionate name for the Mozambique Spitting Cobra, Naja mossambica, because of its aggression and highly toxic venom. Sample sentence: “Dude, I’m literally allergic to Devil Snakes. I can die if I’m in the same room with one”. By the way, that is an actual verbatim quote; see under “Gary”. D.O.R. (n., or adj.) – Abbreviation for “Dead on Road” i.e. an animal that has been killed by a vehicle. 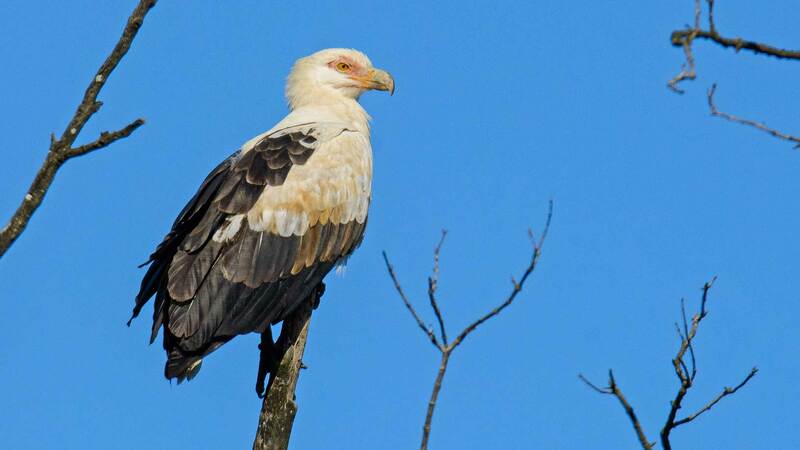 DORs are a depressing but effective way or surveying species in an area. Sample sentence: “Dude, I was so sad to find that Fisk’s D.O.R.”. 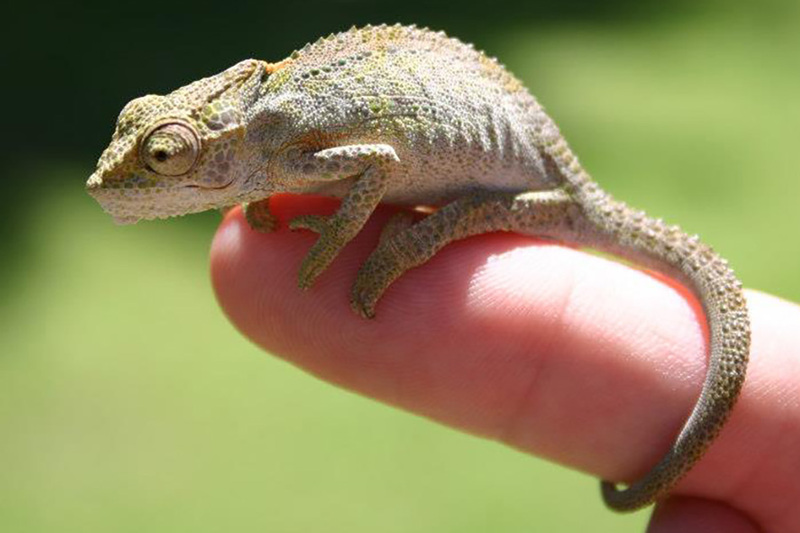 Dwarf (n.) – An affection name for dwarf chameleons (see “Brady”). Sample sentence: “Dude, I really want to find a Knysna Dwarf today”. Eggie (n.) – An egg-eater snake in the genus Dasypeltis. 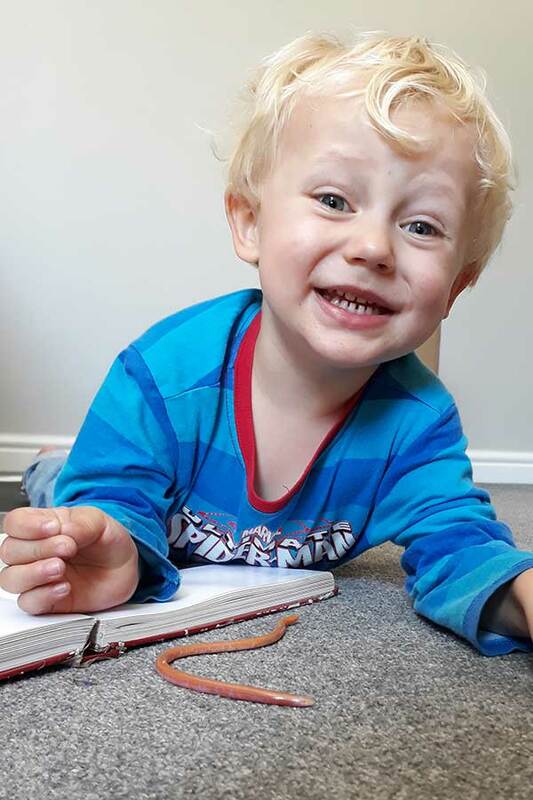 Sample sentence: “Dude, my mom was too afraid to pick up that snake because she thought it was a night adder; turns out it was only an eggie”. ABOVE: A Brown Water Snek. ABOVE: This massive beast is a “Brady”, of the Knysna variety. ABOVE: The brothers demonstrating the verb “nicolauing”. Applicable term: gabby. 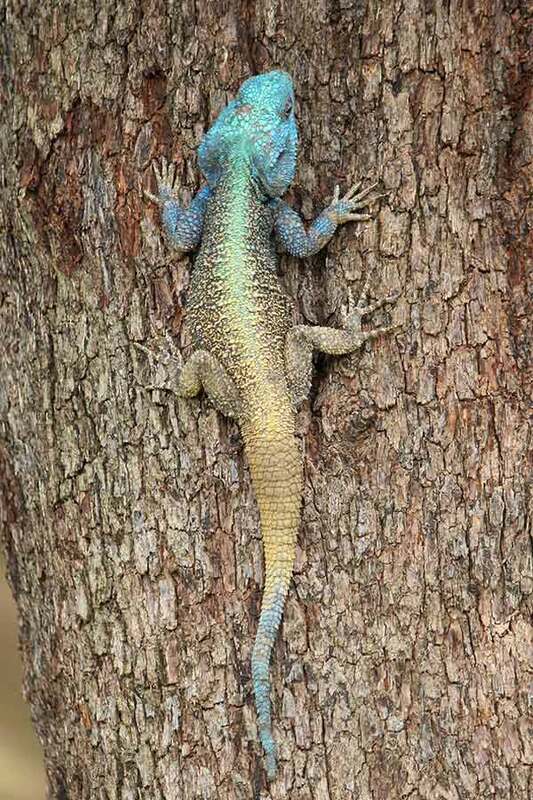 ABOVE: A gorgeous male Tree Agama, Acanthocercus atricollis. Photo by Ronel Peacock. 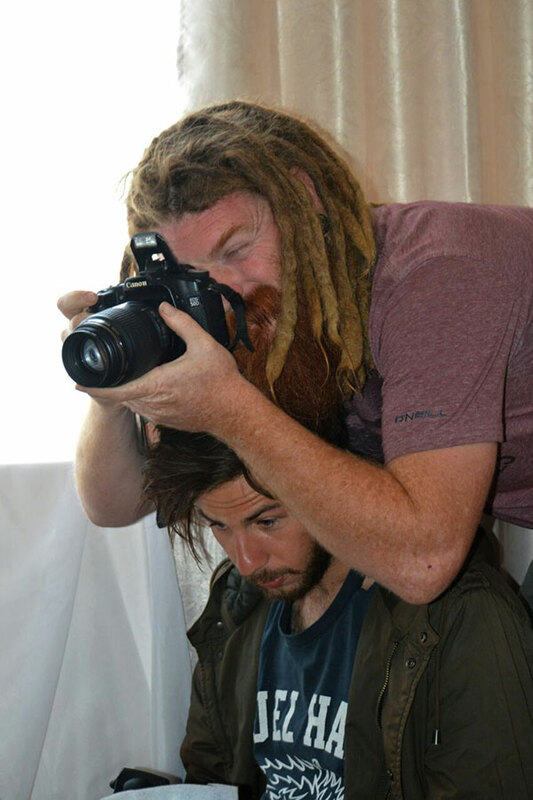 ABOVE: Keir Lynch overcomes any obstacle in his quest to get the perfect shot. File (n.) – Not what you might expect. 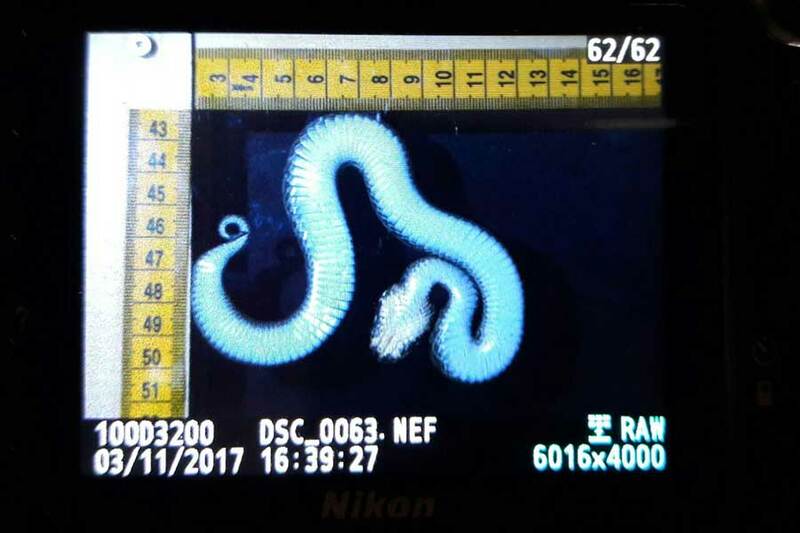 One of the snake-eating File Snakes, genus Gonionotophis. Sample sentence: “Dude, I saw a Black File chowing another snake last night while cruising”. Flake (n.) – A thin, exfoliating skin over a rock’s surface, that is a great place for reptiles to hide underneath. Flakes should be lifted with utmost care, so as not to destroy the animal’s habitat. Sample sentence: “Dude, that whole bloody mountain is just flakes. There has to be tons of Afroeduras there!”. Flat Dog (n.) – An alternative name for a crocodile. Sample sentence: “Dude, I lost half my leg to a flippin’ flat dog while I was look for terrapins”. Flatty (n.) – See “Platy“. Flip (v.) – The action of turning over a rock, log or piece of debris to see if there any herps underneath it. Sample sentence: “Dude, these flat, light rocks are perfect for flipping”. Fossick (v.) – To actively scratch around in search of herps. Sample sentence: “Dude, this area looks good for sneks. Should we fossick around a bit?”. Also fossickability – the quality of the habitat for the act of fossicking. 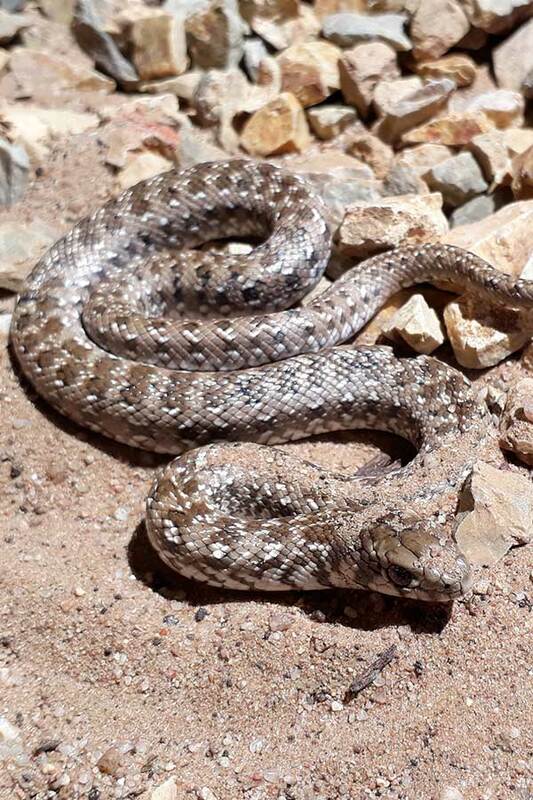 Gabby (n.) – An affectionate name for a Gaboon Adder (see below). 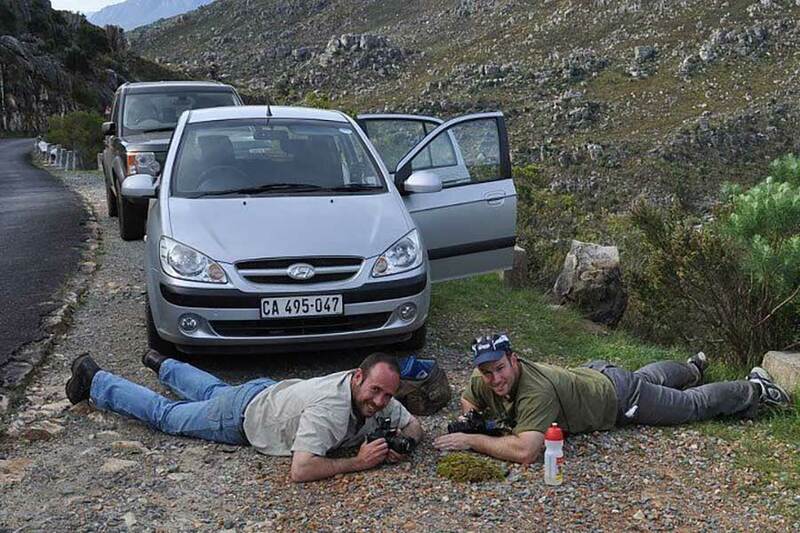 Sample sentence: “Dude, watch out for a gabby when you’re taking a veldtie in that leaf litter”. Gary (n.) – A tattoeed herper of extraordinary skill and a talent for mischief and misadventures. Sample sentence: “Dude, I was out cruising with Gary, and he nearly fainted when this small dog suddenly appeared and yapped at his window. I almost died laughing!” See also under Nicolau. Gert-snake (n.) – Affectionate name for the Herald or Red-lipped Snake, Crotaphopeltis hotamboeia. Origin debatable. Sample sentence: “Dude, I went cruising last night for four hours, but all I found was a bloody Gert-snake”. 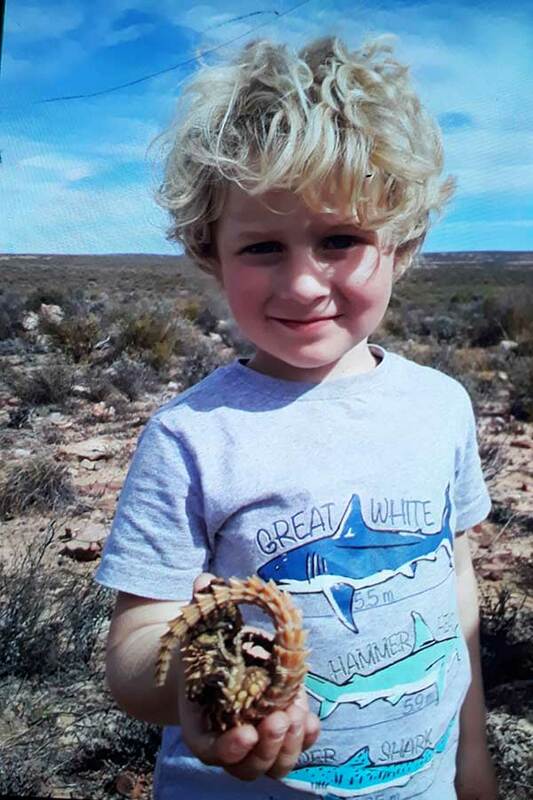 Goggia (n.) – The genus of tiny, range-restricted geckos that can be locally abundant in parts of the Western and Northern Cape. Sample sentence: “Dude, I must have done two hundred flips, but all I found were Goggias”. Herald (n.) – The Herald Snake or Red-lipped Snake, Crotaphopeltis hotamboeia. A common nocturnal species that mostly preys on frogs. Mildly venomous. Herp (n. or v.); also herping (n). – A slang term for looking for reptiles and amphibians. Sample sentence: “Dude, I haven’t seen in herp in ages; let’s go herping this weekend”. Herp-Alert (n.). – A questionable Whatsapp group dedicated to herpetology. Sample sentence: “Dude, I so want to join Herp-Alert, but Justin won’t add me”. Herpinator (n.) – A contraption consisting of two hinged wooden frames, covered in perspex, into which an adder can be placed to photograph next to a scale, allowing calculations of its size with imaging software. Hookstick (n.) – A light metal rod, often collapsible, with a gently curved hook at the end, for handling potentially dangerous snakes. See also “tongs”. Sample sentence: “Dude, don’t try to wrangle a Stiletto without a hookstick”. Iceberg (n.). – A rock that seems small and liftable, but is actually only the exposed tip of a huge underground boulder. Sample sentence: “Dude, I threw my back out yesterday when I tried to flip an Iceberg”. Lygo (n.) – Short for Lygodactylus, a genus of small diurnal geckos of which L. capensis is a well-known and common inhabitant of gardens. 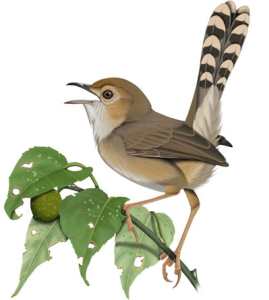 Many other species are far more limited in range, and often restricted to very specific mountain ranges. Sample sentence: “Dude, I almost got arrested when I climbed over that fence to look for a Lygo”. 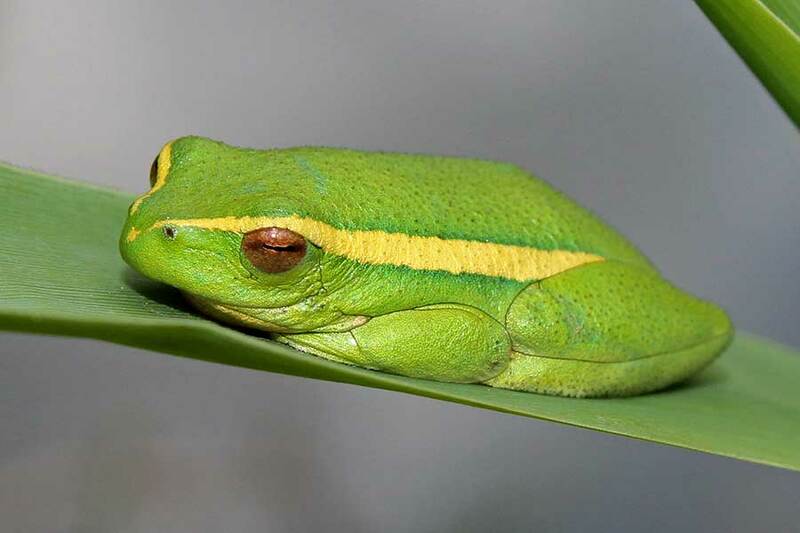 ABOVE: Yellow-striped Reed Frog. Photo by Ronel Peacock. ABOVE: The Herpinator in action. ABOVE: Photographing a Tiger in Mozambique. 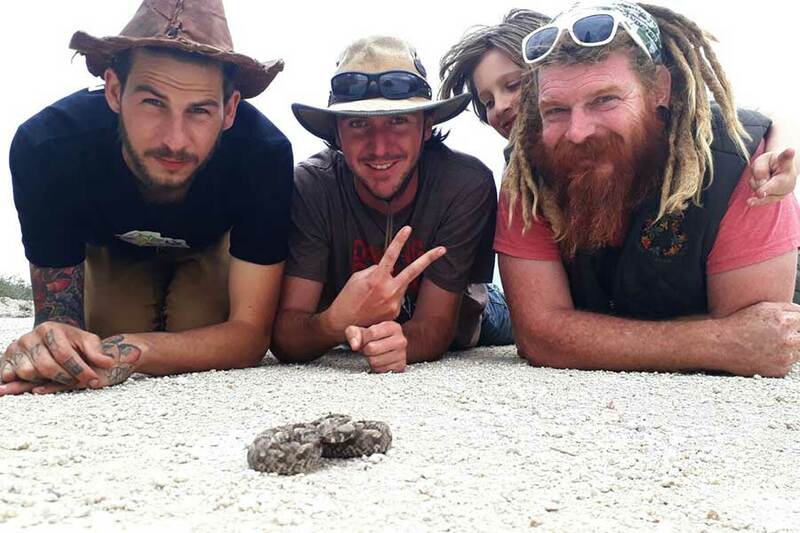 From left, Matthew Axelrod, Robert Wienand, Thomas Hohls, Faansie Peacock and Jason Boyce. 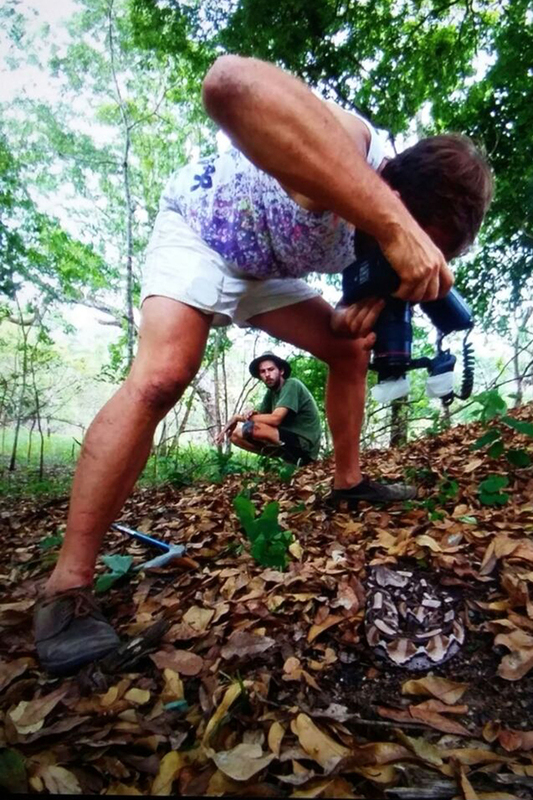 ABOVE: Justin (with diagnostic short shorts) demonstrating the term “getting tagged”, in this case by a Psammophis species. ABOVE: Wrong Trevor. 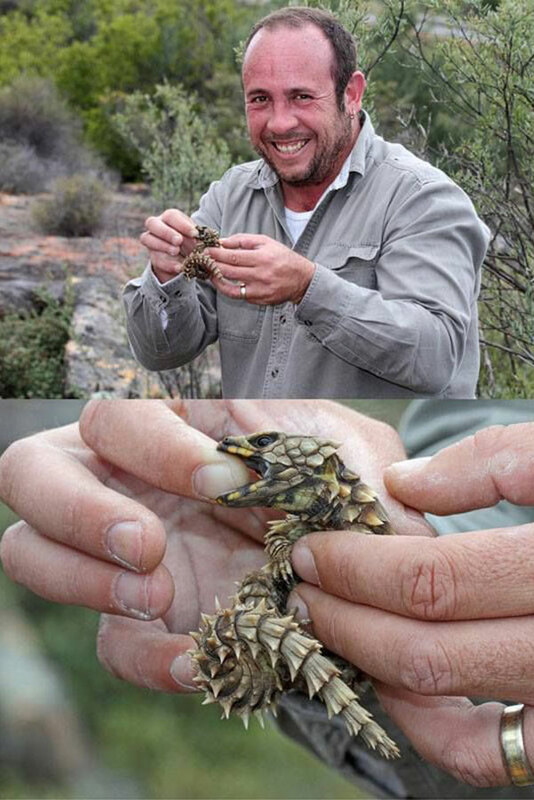 Here, let my four year-old show you how to hold an Armadillo Girdled Lizard. ABOVE: Christian demonstrating the correct way of holding an Armadillo Girlded Lizard. ABOVE: Me demonstrating an alternative but perfectly acceptable way to hold a Cape Ghost Frog. Mfezi (n.) – The Mozambique Spitting Cobra. See also “Spitter” and “Devil Snake”. Sample sentence: “Dude, half my callouts are for Mfezi”. Mound (n.) – A termite mound; favourite hibernation location for many snake species. Destroying mounds to look for herps is destructive behaviour and not frowned upon. Sample sentence: “Dude, look at all these mounds in this field; I’ll bet there are some harlequins in them”. Neck (v.) – Necking is to hold a snake behind its head. 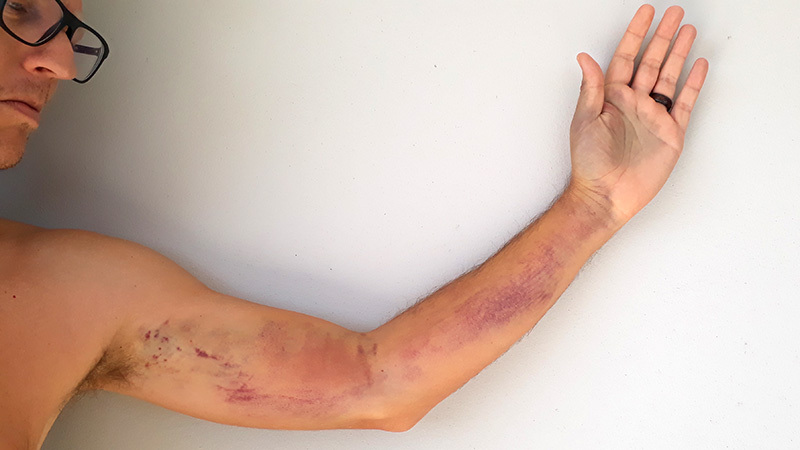 This can be dangerous to both the handler and the animal and should only be done by professionals. Sample sentence: “Dude, get a picture of me necking this mamba for Facebook”. Nicolau (v.) – An action performed without forethought and without any regard to personal safety. Sample sentence: “Dude, grab that mamba quick! Don’t be a baby, just nicolau it behind the head.”. Depending on which Nicolau is in question, could also refer to an action of questionable intelligence e. g. Sample sentence: “Dude, I can’t wear shoes at the moment because I was flipping this huge boulder and I nicolaued it onto my foot”. Scratch about (v.) – To investigate an area in search of reptiles and amphibians. Sample sentence: “Dude, I’ve got a few minutes to kill. Should we scratch around for some herps?”. Skapie (n.) – Short for “Skaapsteker”, die Afrikaans name for a genus of grass snakes (Psammophylax), of which we get two species in South Africa: Spotted Skaapsteker (P. rhombeatus) and Striped Skaapsteker (P. tritaeniatus). Both have mild venom that poses no danger to humans. Sample sentence: “Dude, when I picked up that Skapie, it shat all over my hand”. Sluggie (n.) – A slug-eater snake, genus Duberria. Sample sentence: “Dude, have you seen how sluggies roll into a coil when they get a skrik?”. Smaug (n.) – Dragon lizards, taking their generic name from the Tolkien story “The Hobbit”. 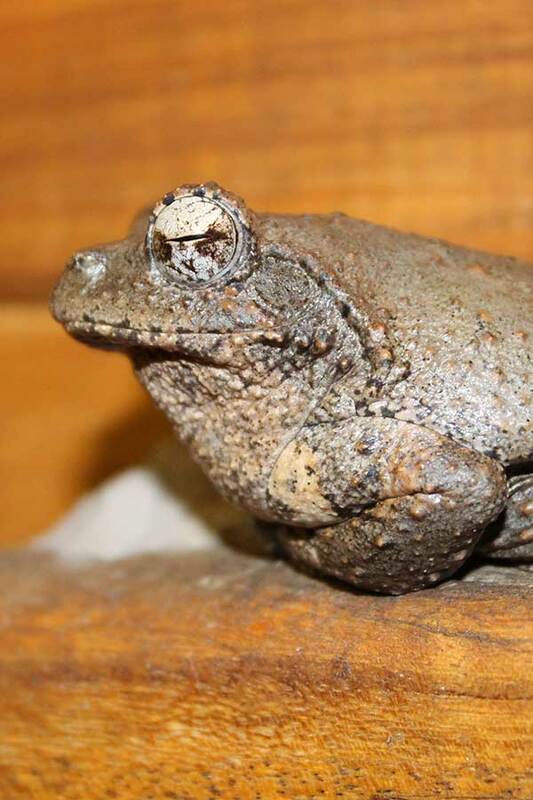 There is also Bilbo’s Rain Frog Breviceps bagginsi, and Thorin’s Caco Cacosternum thorini. Snek (n.). A snake. Sample sentence: “Dude, this heap of rocks looks like a perfect spot for sneks”. Spitter (n.) – A spitting cobra. Sample sentence: “Dude, you better get your visor, I think there’s a spitter somewhere in that filthy store room”. Tiger (n.) – A tiger snake, genus Telescopus. Sample sentence: “Dude, I was attacked by a fiesty little Eastern Tiger last night”. 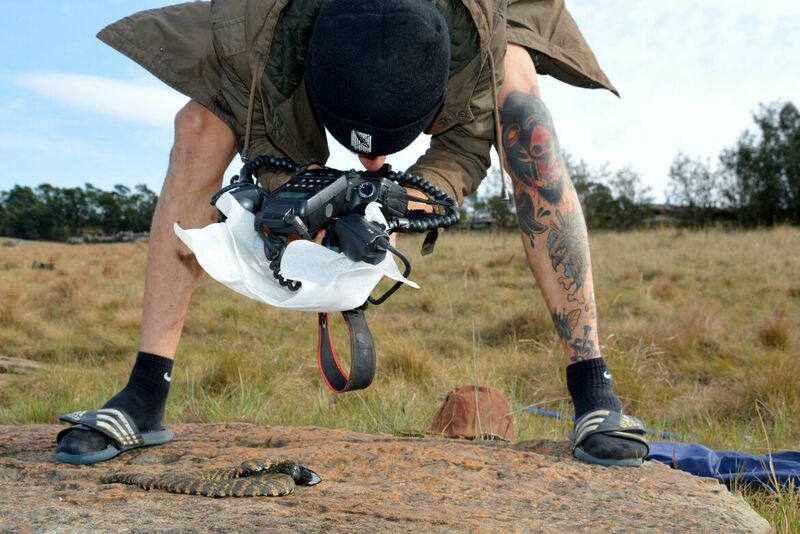 Two-team (v.) – Teaming up with another herper to flip a particularly big rock. Sample sentence: “Dude, that rock looks like an iceberg. Let’s two-team it”. ABOVE: A very angry Brevi. Breviceps rosei to be precise. Photo by Ronel Peacock. 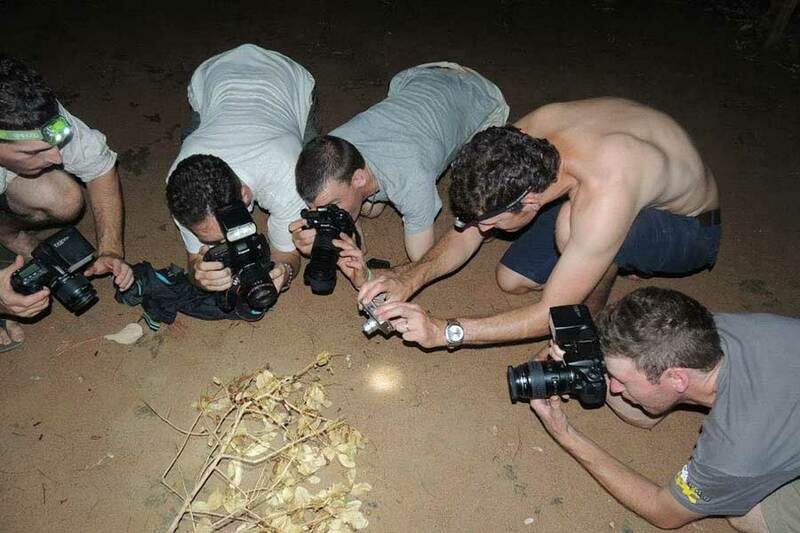 ABOVE: The boys are ecstatic after finding an Albany Adder, Bitis albanica. So jealous! 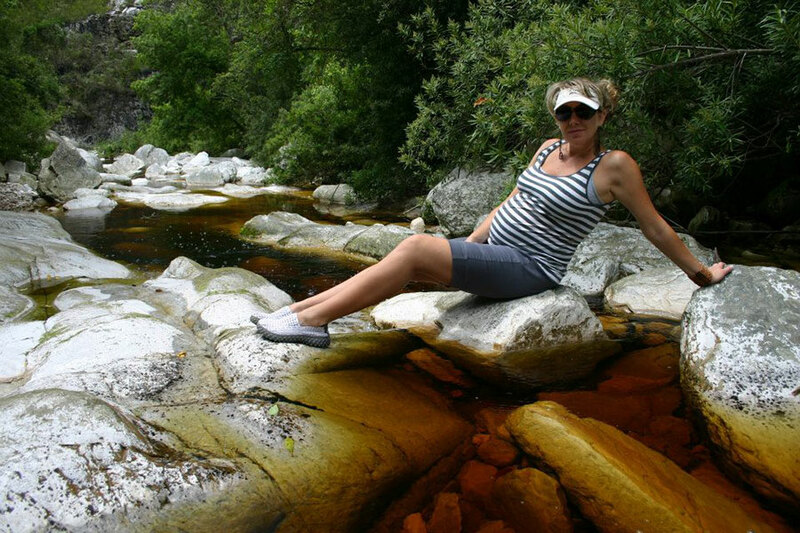 ABOVE: Ronel, here seven months pregnant, takes a break from looking for ghost frogs. ABOVE: Trevor Hardaker and James Harvey taking a break from driving. 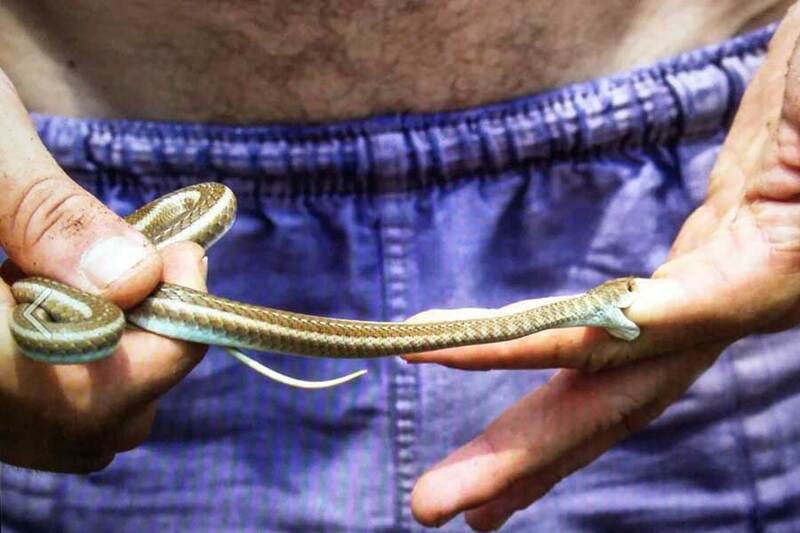 ABOVE: Two year old Owen doesn’t quite trust this wriggly Southern Blind Legless Lizard (Typhlosaurus caecus). 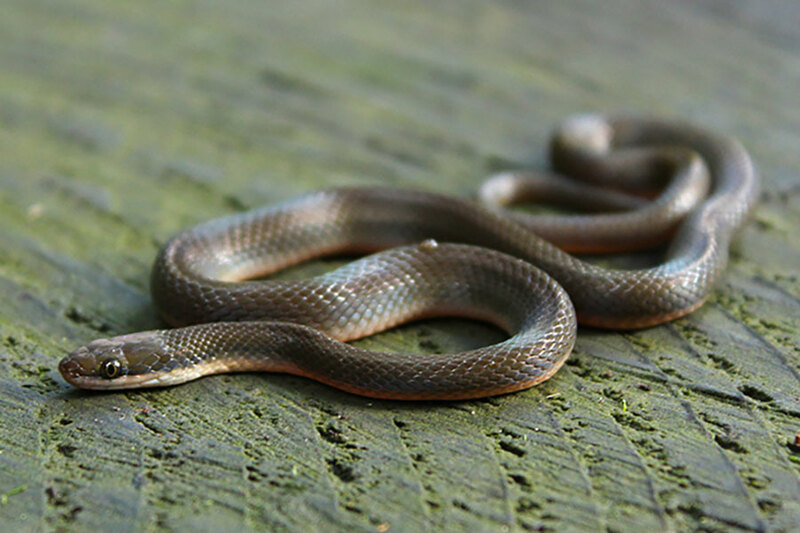 ABOVE: We found this juvenile Mole Snake (Pseudaspis cana) while scratching around in our garage. ABOVE: A Foam Nest Frog’s eyes look like a NASA photograph of some other planet’s surface. 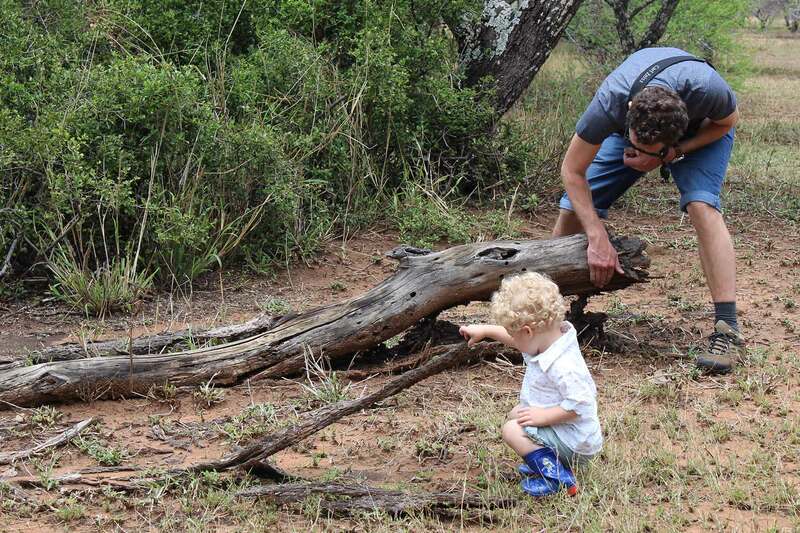 ABOVE: Baby Christian and I herping at Nylsvley. See “two-team” above. Thanks Helen! Glad you enjoyed it! So cool!!!! I love learning about all these creatures! My daughter too😊 love the images! Thanks Andrea – yeah, it’s a fun piece! Thanks for the comment.